Tool can be used as a standalone from command line, similar as its predecessor used in ChemAxon - Test2Production tool. Admin tool will provide more functionality than Test2Production, however running from command line is not implemented yet, will be in the future releases. Admin Tool has also its own GUI developed. 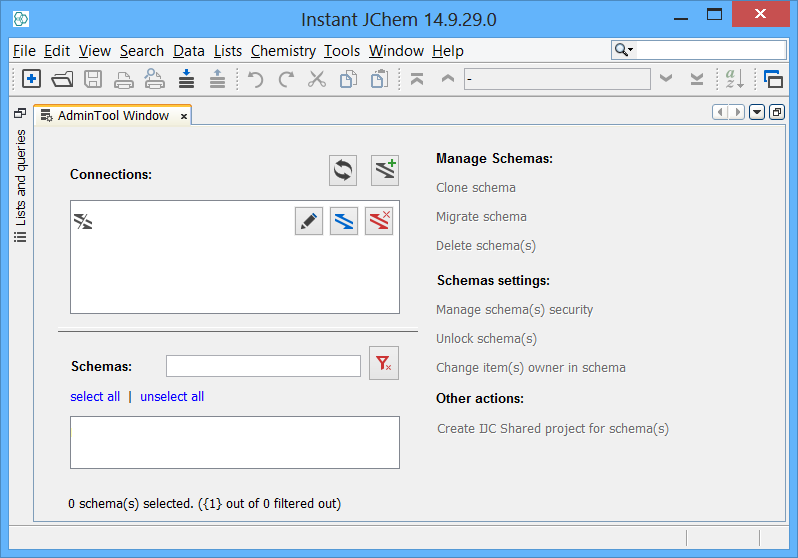 This GUI is integrated in Instant JChem in version 6.2.3. 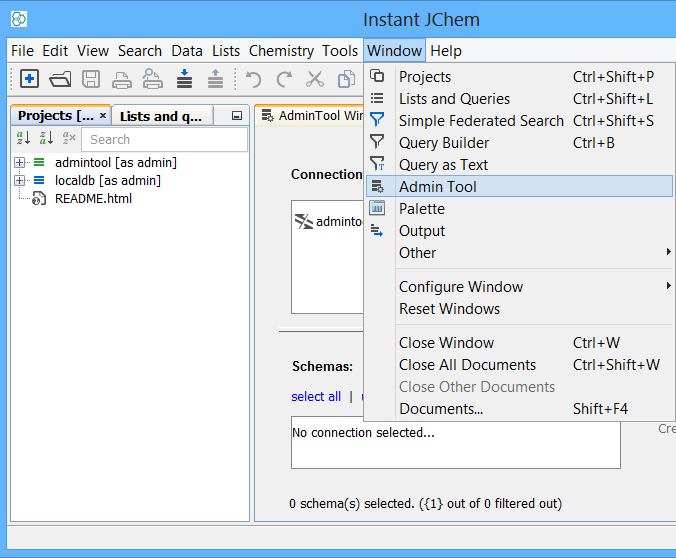 Users can reach it in Instant JChem main menu under „Window“ tab by clicking on „Admin Tool“ menu item as shown on the following screen.